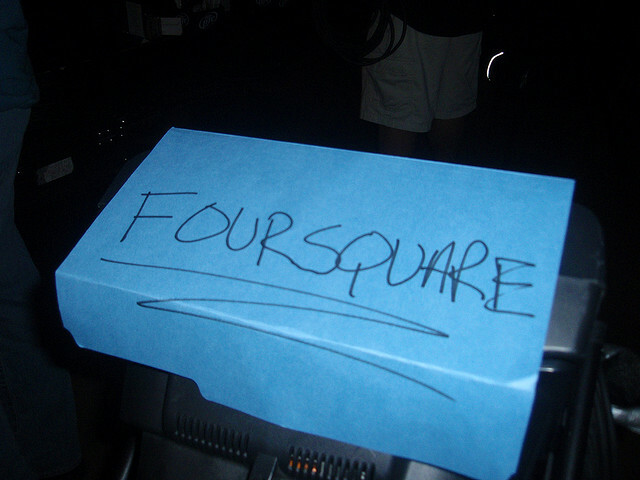 Foursquare is still the check-in app of choice for many of us, and part of that strength comes from the fact that it’s cross-platform. 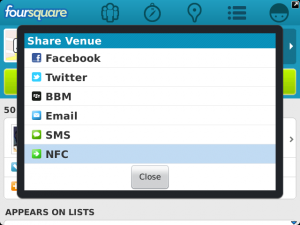 Today, the foursquare team announced some major updates for its BlackBerry version, including some bug fixes and speed enhancements. That’s not the cool part though. 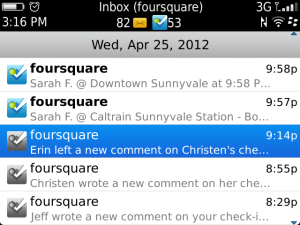 For those CrackBerry hounds, you know that your inbox is the most important place on your phone, so foursquare is now including its notifications within that heralded space. That’s awesome, and was an Android-only feature up until now.